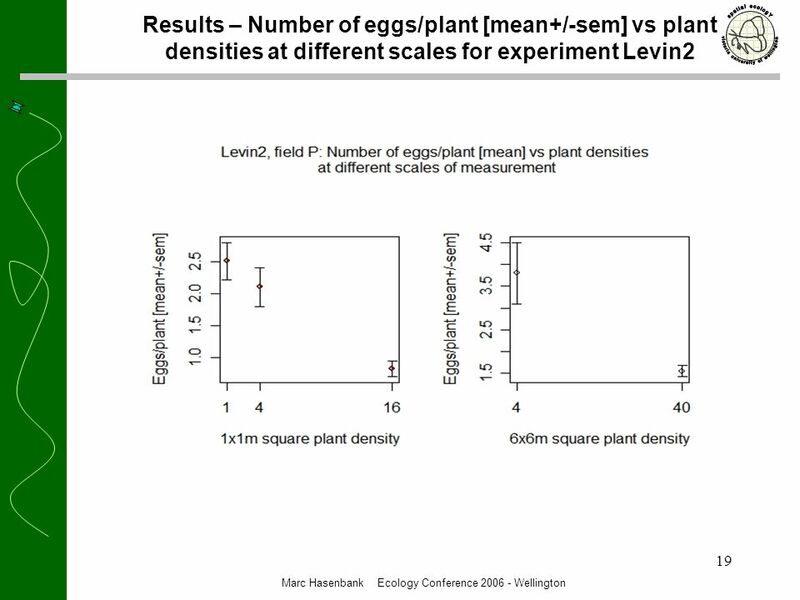 1 Egg laying on patchy resources and the importance of spatial scale. 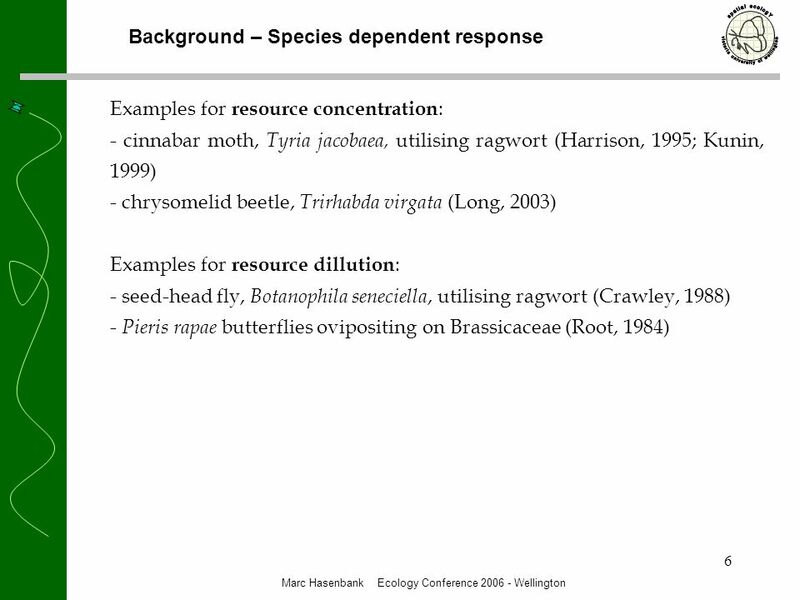 By Marc Hasenbank, Stephen Hartley School of Biological Sciences, VUW. 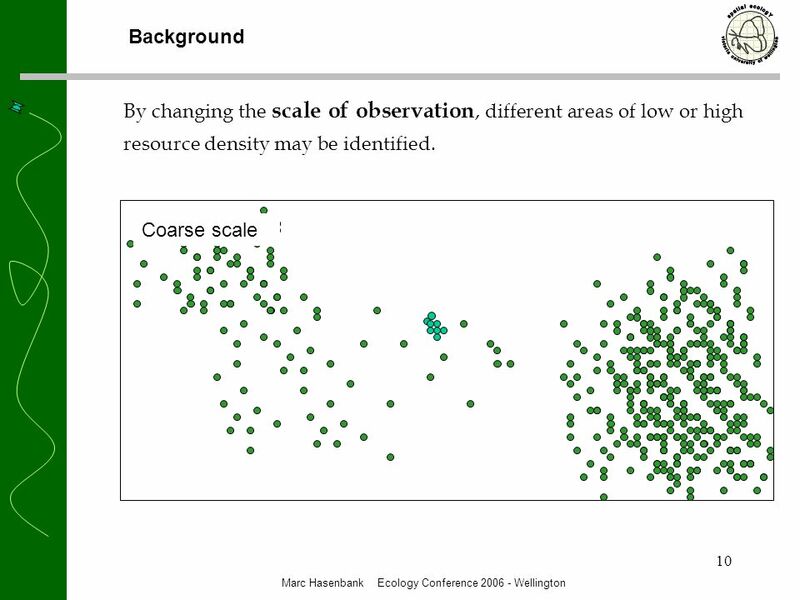 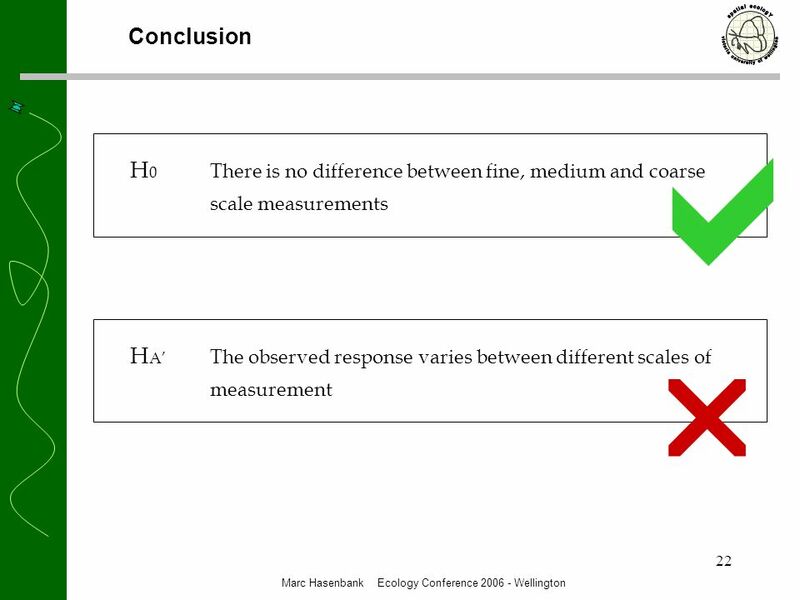 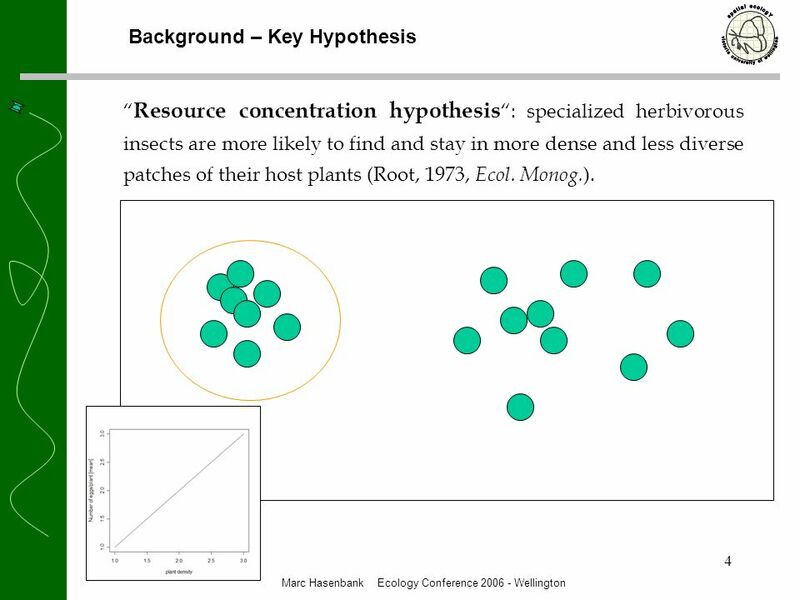 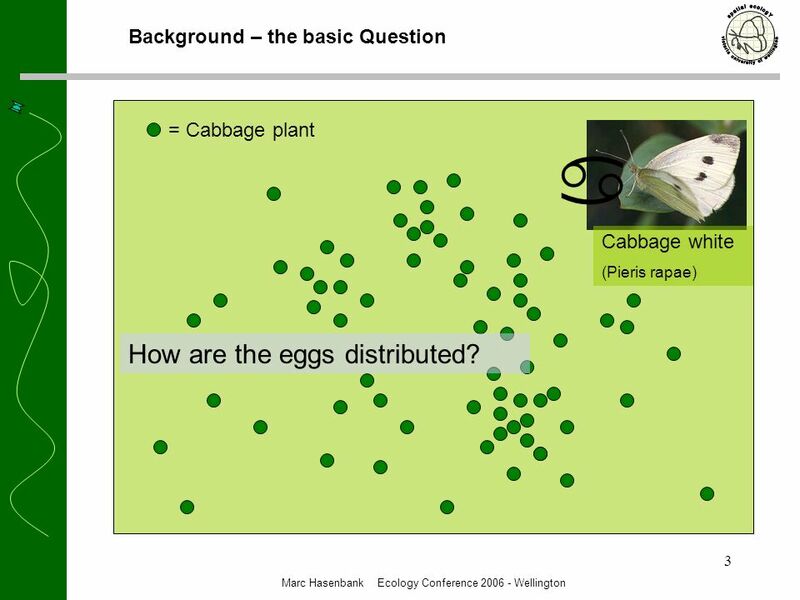 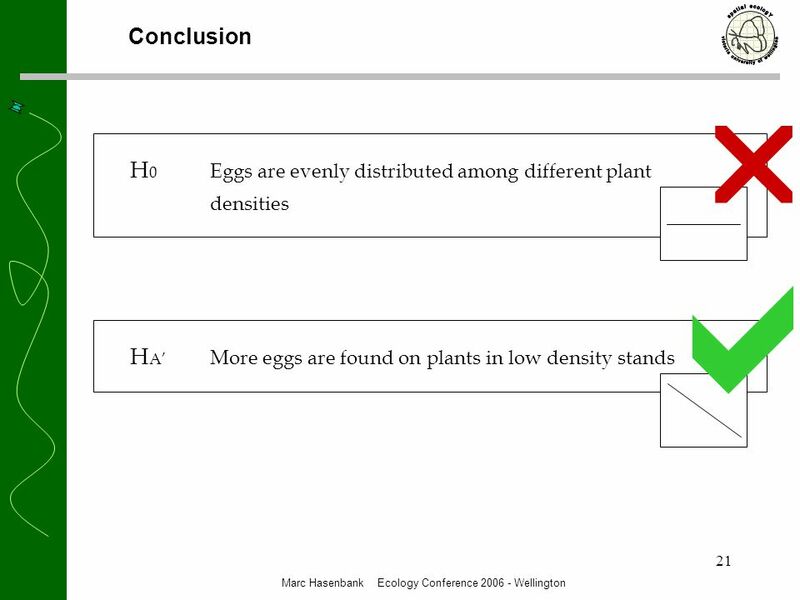 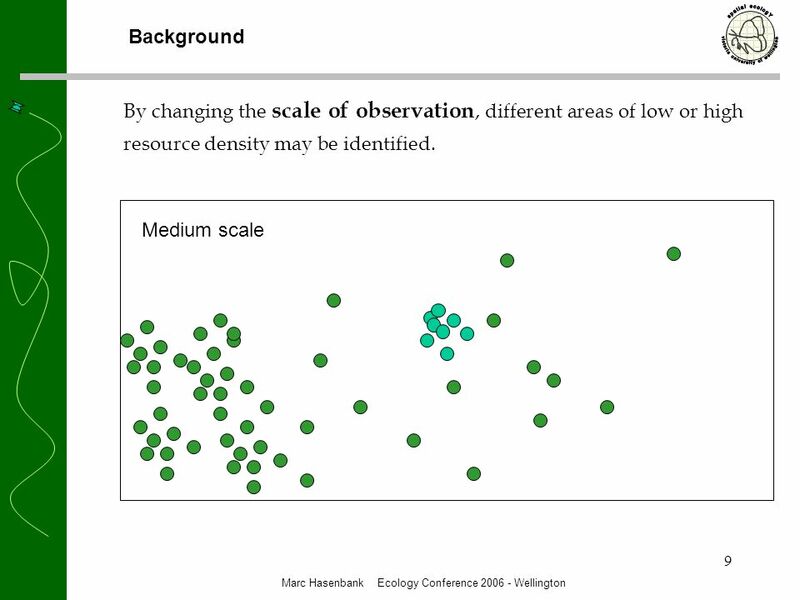 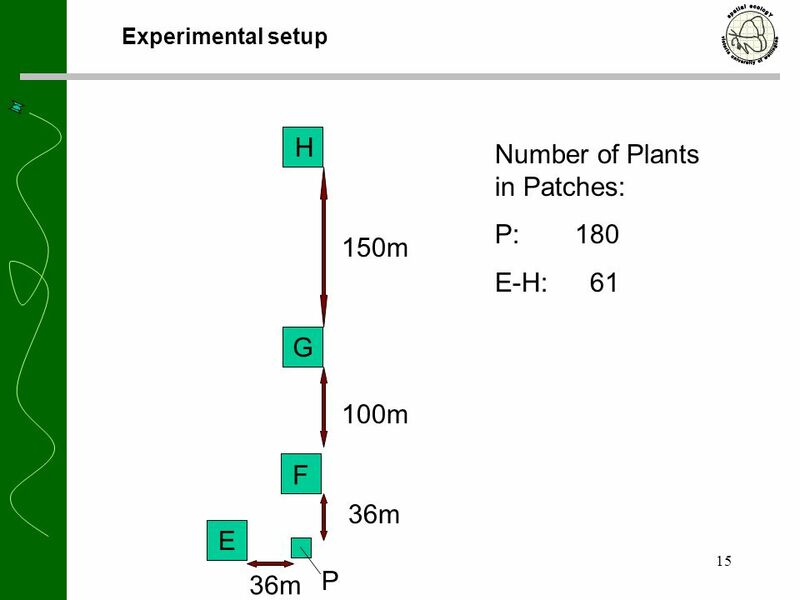 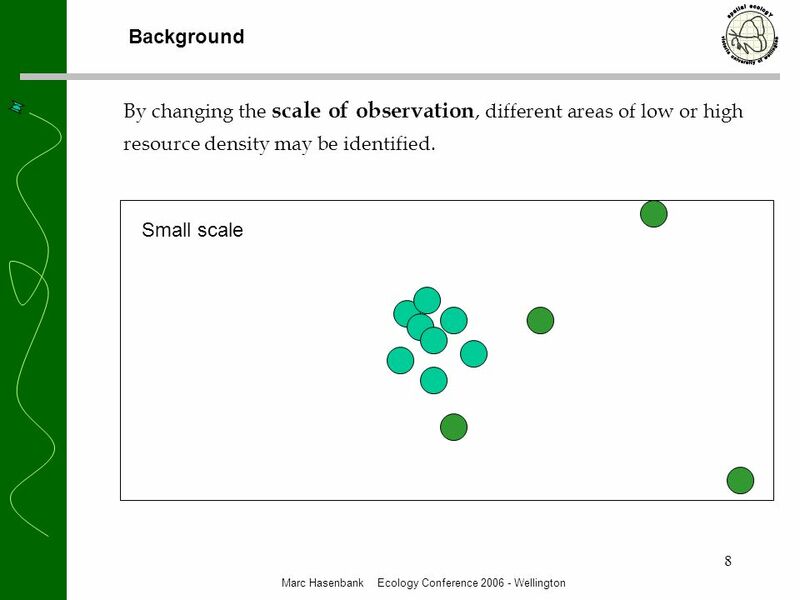 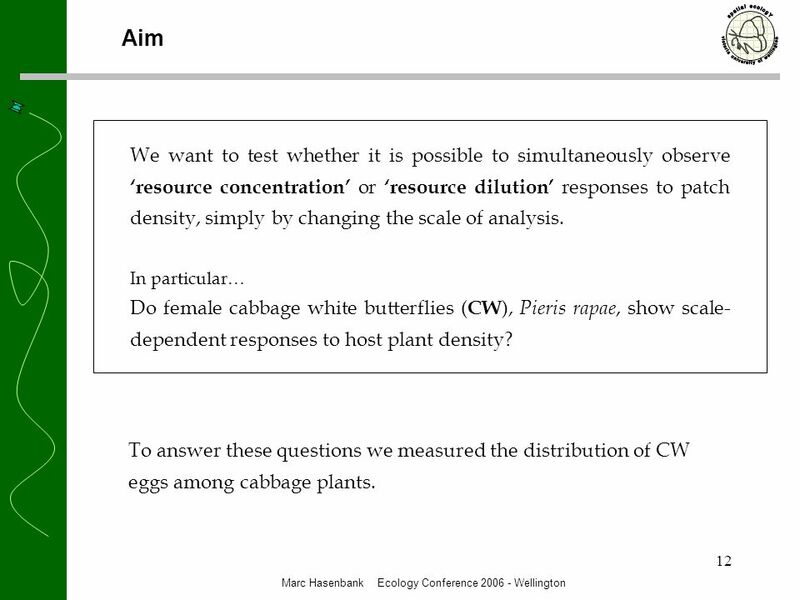 3 3 Background – the basic Question Marc Hasenbank Ecology Conference 2006 - Wellington = Cabbage plant Cabbage white (Pieris rapae) How are the eggs distributed? 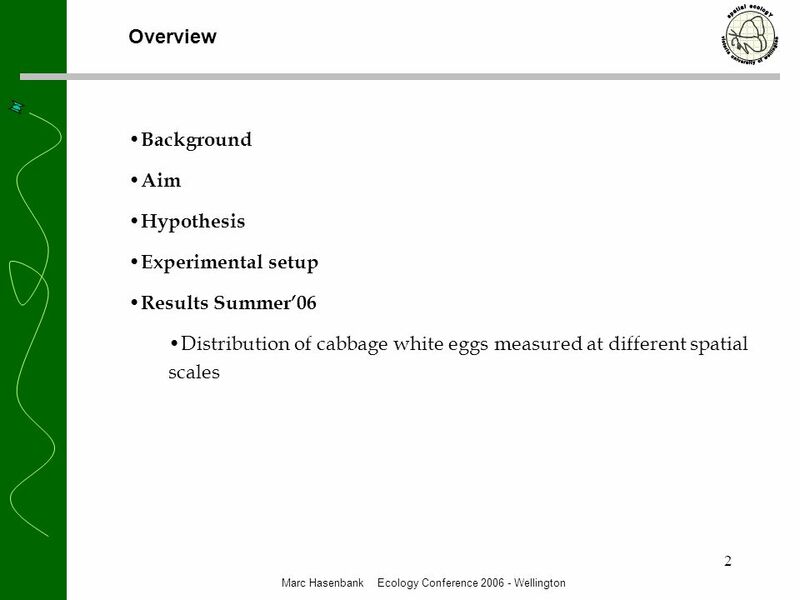 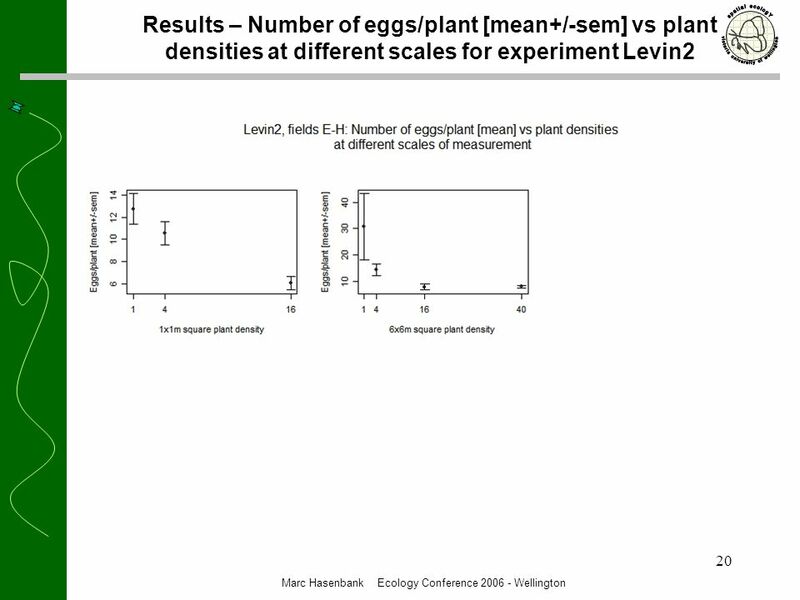 7 7 Background Marc Hasenbank Ecology Conference 2006 - Wellington = Cabbage plant Cabbage white (Pieris rapae) How are the eggs distributed? 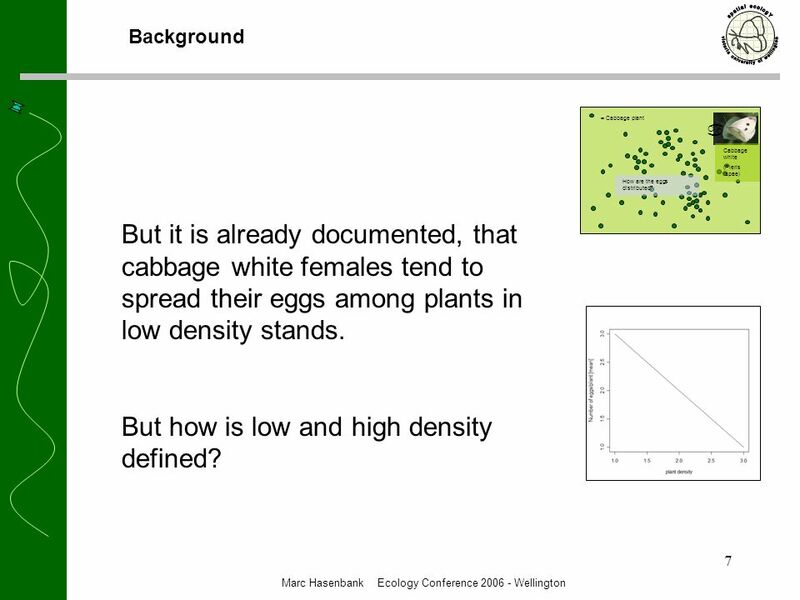 But it is already documented, that cabbage white females tend to spread their eggs among plants in low density stands. 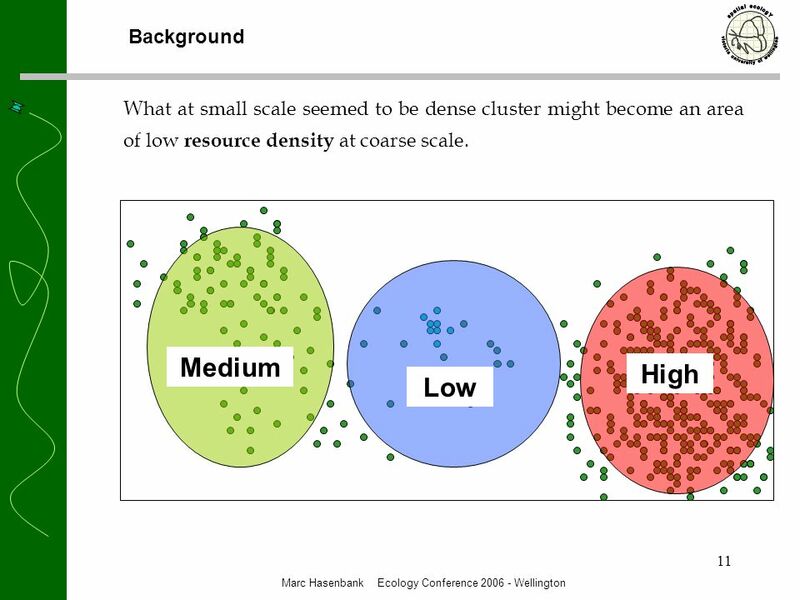 But how is low and high density defined? 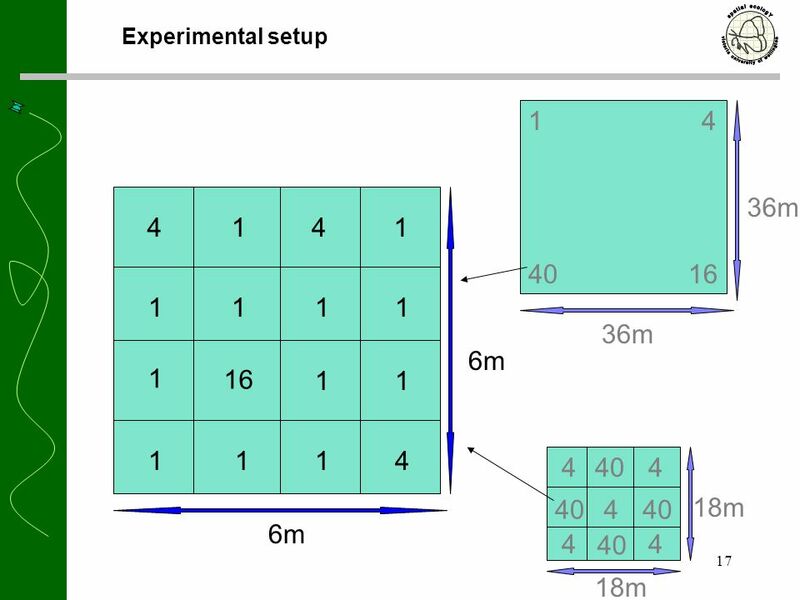 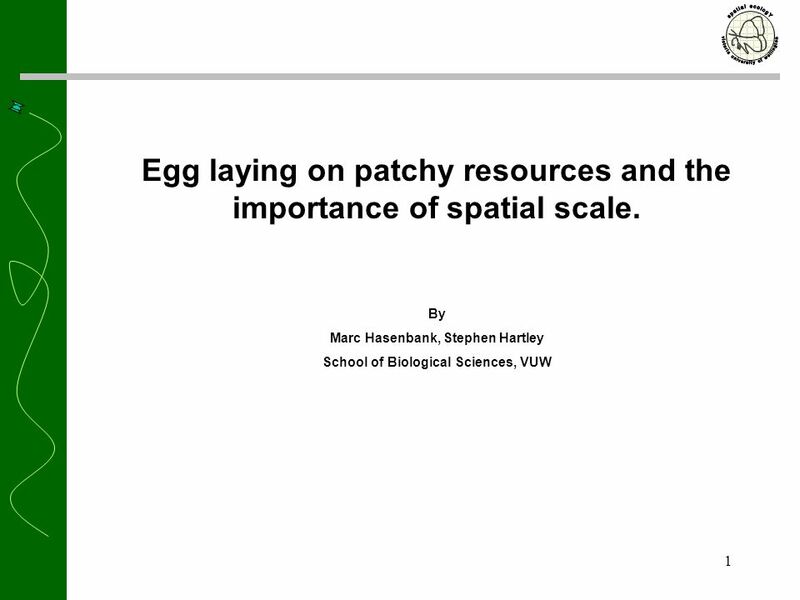 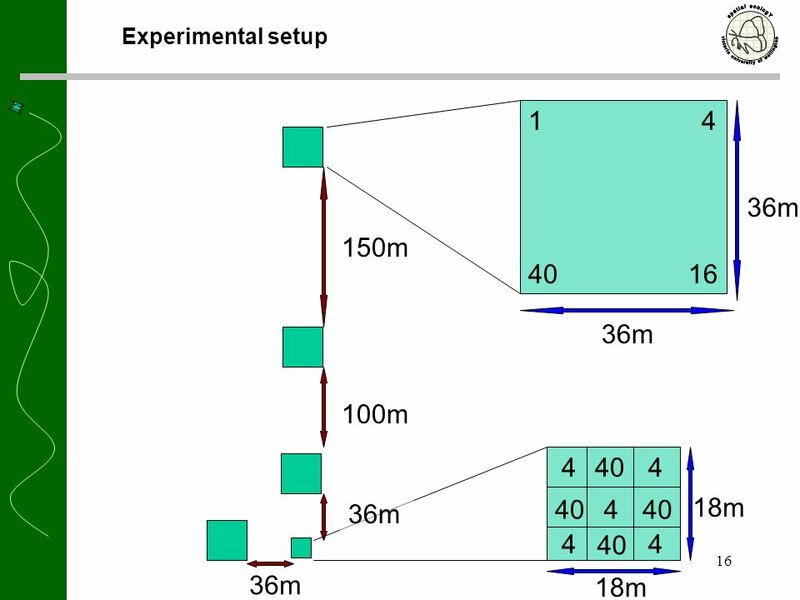 Download ppt "1 Egg laying on patchy resources and the importance of spatial scale. 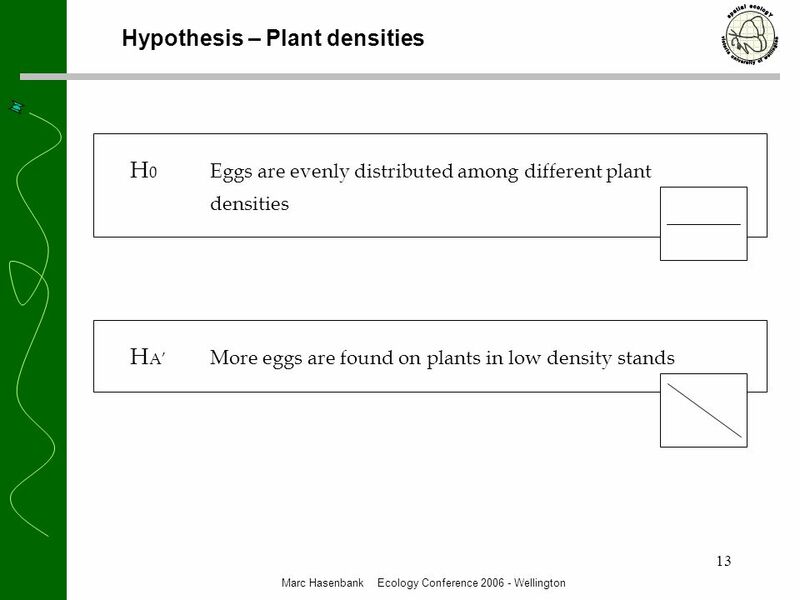 By Marc Hasenbank, Stephen Hartley School of Biological Sciences, VUW." 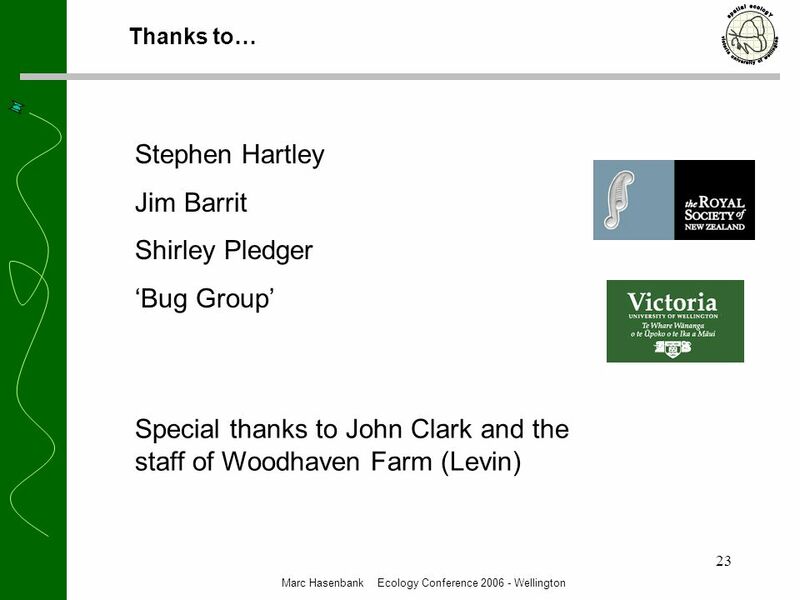 Supervised and helped by Dr Stephen Hartley, Dr Marcus Frean, Marc Hasenbank Victoria University, Wellington Jim Barritt © Jim Barritt 2006School of Biological. Supplemental Web Fig. 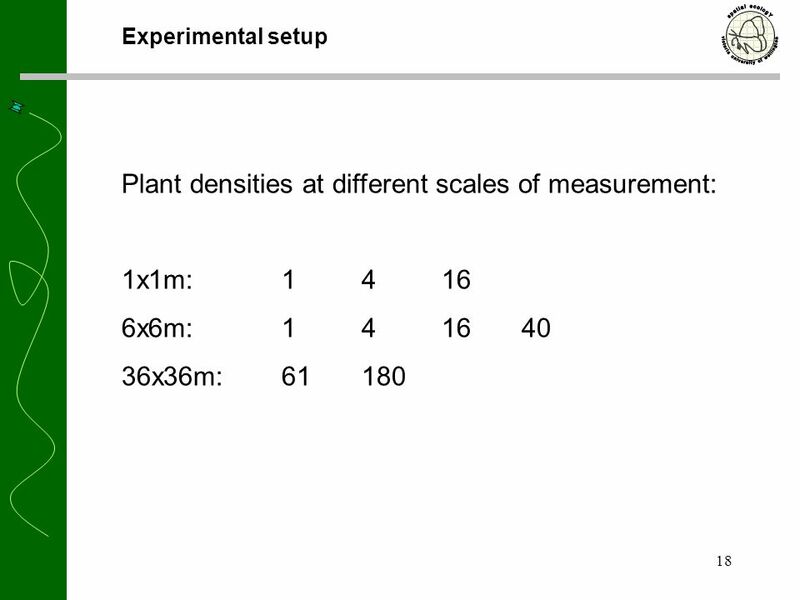 2 mos10/mos10, grown on 100 mm plate SLAS27 medium, day 1. 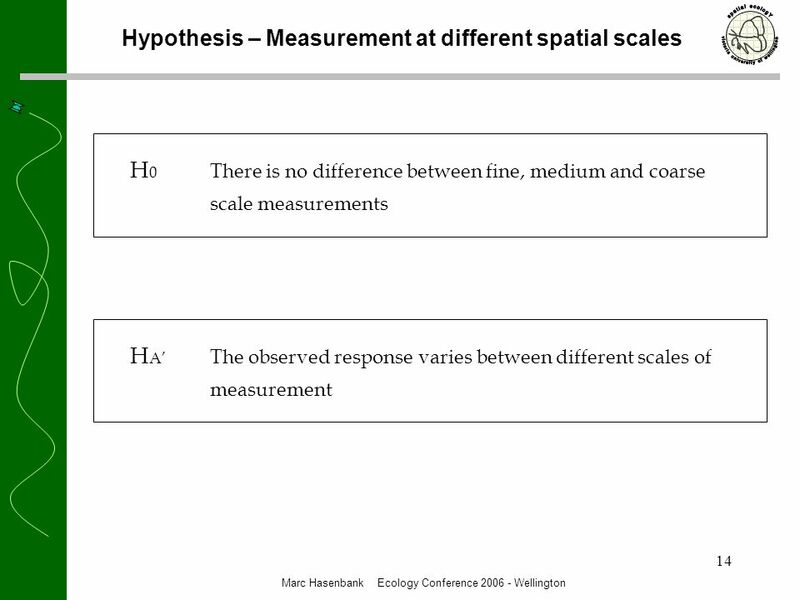 © Charles van Marrewijk, 2003 1 An Introduction to Geographical Economics Brakman, Garretsen, and Van Marrewijk.